Starcraft is recalling certain model year 2013 Autumn Ridge AR-One travel trailers manufactured from September 6, 2012, through October 17, 2012. These travel trailers have wire connections in the electrical box that may prevent the wires from being tightened properly. Loose electrical wiring connections could cause excessive heat which could lead to fire, injury, or death. Got a lemon Starcraft Autumn Ridge travel trailer? 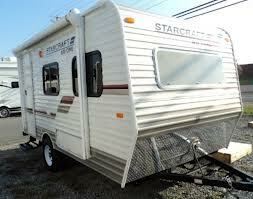 Want a new Starcraft Autumn Ridge Rv or your money back?